You have downloaded or created your own Group Policy Administrative Templates, and would like them to be stored centrally, opposed to individually on each Domain Controller. 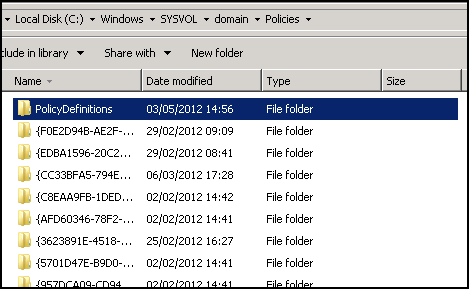 Right-click on the Default Domain Controllers Policy under Group Policy Objects, and view the Settings Tab. All current and future Group Policy Administrative Templates will now be kept in the Central Store.